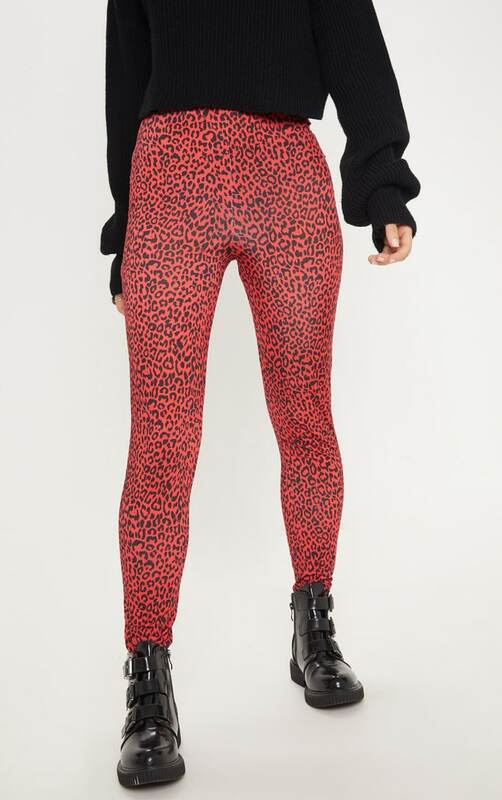 A little luxury goes a long way and these leggings are an ultimate wardrobe staple. 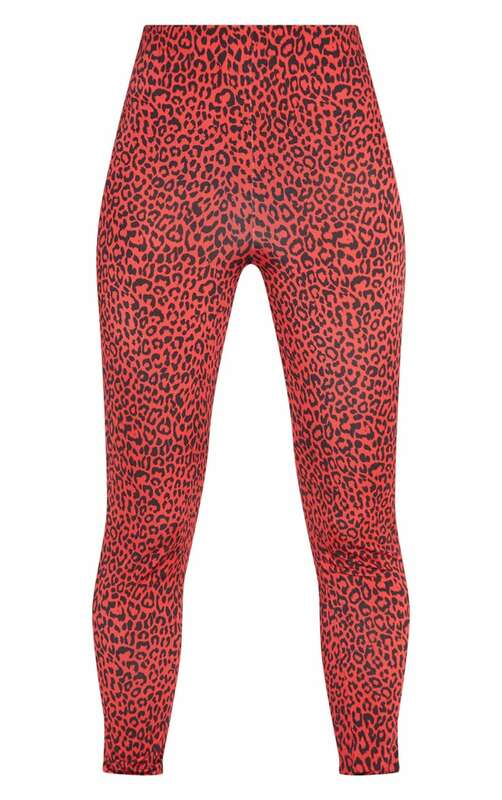 Featuring a red material with a leopard print design and an elasticated waistband. Style these with a sweater and ankle boots for an off-duty look we are loving.